Annie aims to collaborate with other creatives and industry to realize projects that address design, craftsmanship and notions of luxury. She works on commissions and self-initiated projects. 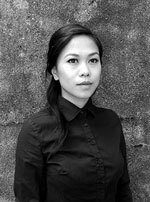 She received her Bachelors in Design: Material Art & Design (Metal/Jewellery) from OCADU in Toronto, Canada and MAS in Design for Luxury & Craftsmanship at ECAL in Lausanne, Switzerland. Annie has delivered designs and concepts to European luxury heritage brands such as Vacheron Constantin, Christofle, De Sede and Ruinart. She has been the recipient of 16 industry awards and grants for her work and has exhibited in Canada, USA, South Korea, Germany, Scotland, Italy and most recently at London Design Festival 2015, UK. Her project with Christofle Paris will be exhibited in February 2016. Her work is in private collections.